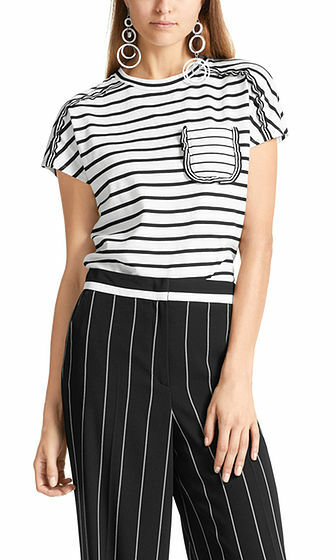 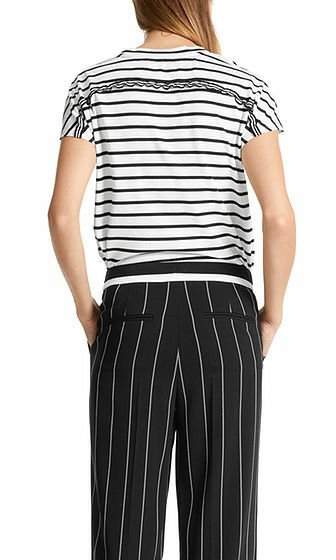 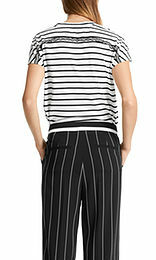 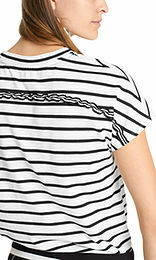 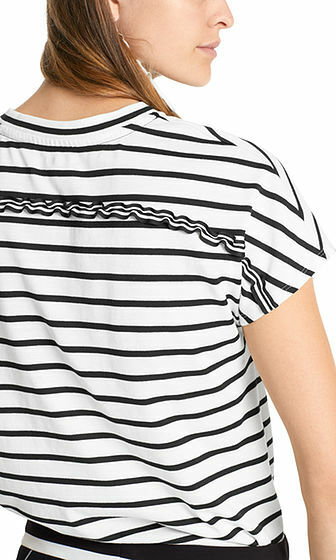 Casual fit top with striped pattern. 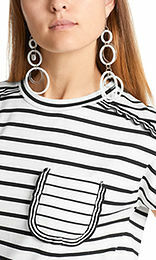 The top is made from pure cotton and decorated with flounce-like bands. 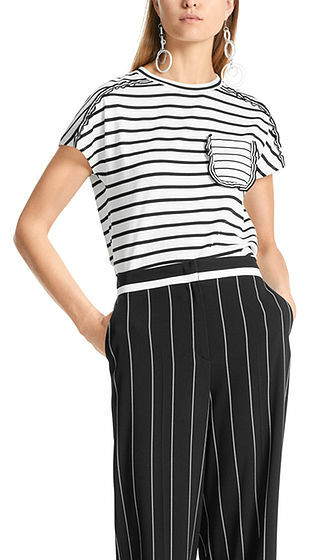 The small patch breast pocket adds a special accent. Short sleeves round off the look.